​Ex-Manchester United winger Angel Di Maria is preparing to face his former club in the Champions League on Tuesday evening for the first time since a British record transfer turned sour in just 12 months. According to one Paris Saint-Germain teammate, he is 'ready' for it. 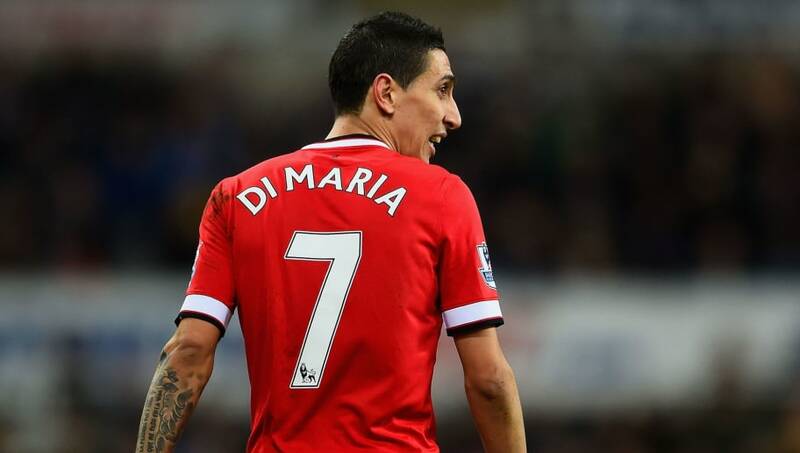 Fresh off the back of a man of the match performance in the Champions League final for Real Madrid and a strong World Cup in which he helped Argentina reach the final - only to sit it out injured - Di Maria moved to Old Trafford for £59.7m in the summer of 2014 to much fanfare. He was handed the club's iconic number seven shirt and his arrival had the potential to beckon a new era of success alongside heralded new manager Louis van Gaal. United looked to have hit a home run with the transfer after a star performance against Queens Park Rangers on his home debut, followed by a memorable chip against Leicester. But just as Van Gaal's new team fell apart in the against the Foxes, so too did Di Maria's United career. Seemingly shackled by Van Gaal's restrictive tactics, the Argentine appeared to give up. Writing for The Independent this week, Miguel Delaney notes that 'talented but a complete fanny', who 'wasn't giving 100%' is the way many of his former teammates see him. On one occasion after a game, he was even apparently on the end of 'robust criticism' in a 'proper argument' with then club captain Wayne Rooney. According to Delaney, Di Maria never actually wanted to join United and his transfer was an unfortunate product of the transfer market at that time. Real Madrid were looking to sell, but no one other than United could afford to buy him and he therefore had little choice in the matter. Failing to see eye to eye with his manager, a terrifying attempted burglary at his house in January 2015 made settling off the pitch even harder and appeared to be moment that he knew he wanted to leave the club. By the time he was sent off for a petulant tug of the referee's shirt in an FA Cup defeat to Arsenal two months later his career in England was effectively over. PSG came calling at the end of the season and United took a quick £15m loss on their record outlay. Di Maria has since thrived in France and enjoyed the best individual season of his career in 2017/18. Now, with both Neymar and Edinson Cavani missing through injury for PSG this week, the 30-year-old becomes even more of a key man against his former employers. "I was asking him some questions about Manchester United. I won't tell you what he said but he will be ready," PSG colleague Julian Draxler has said ahead of the game, via Manchester Evening News. "He's a big player. He has a lot of respect for the club (United), there's nothing terrible in what he said but it was between me and him, so I won't tell you right now. He's in good form, we'll need him, especially without Cavani and Neymar, hopefully he'll have a great performance." In the build up to this week's reunion, Di Maria himself has admitted that he had 'problems' at United, with his escape to France an opportunity to 'be myself again'. It seems clear from his comments that he blames Van Gaal and the coaching staff for his failure. "I only stayed one year," he said during an interview on French radio. "It wasn't the best period of my career, or they didn't let me have my best time there. There were problems with the coach at the time. But thanks to God, I was able to come to PSG and be myself again."